When Is The Best Time of Day to Exercise? What is the best time of day to exercise? Simply put, it’s whatever time you can commit to and be consistent. That being said, your daily rhythm and choices affect your motivation to exercise, your recovery from exercise, and potentially, the results you get from exercise, so there is no single “best” time to exercise that works for everyone. Breathing and heart rate operate optimally on a rhythm; likewise, every system and hormone of the human body seems to function best on a cycle. That means that the closer you get to homeostasis, the better you can feel and the healthier you can be. Circadian rhythm is a 24-hour body clock that signals a multitude of physiological processes, including eating and sleeping. Circadian rhythm is generally set by light and dark, but can be affected by sleep habits, meal times and stress levels. Food and rest are important foundations for exercise. Operating in sync with circadian rhythm can help sustain adequate energy levels and ensure recovery from exercise. Because of artificial light, easy access to food and high levels of stress, we can override natural circadian rhythm quite easily. Here are a handful of hormones and processes to keep in mind when attempting to identify your ideal time of day to exercise. Cortisol is called the stress hormone, but is only problematic when it’s too high or low at the wrong time. In an ideal circadian rhythm, cortisol rises in the morning and remains level throughout the day to support alertness and energy. Because cortisol is like caffeine and is ideally rising in the morning, you may not need both. In fact, caffeine could suppress cortisol, making it tough to feel awake without caffeine. Consider performing your workout in the morning before you consume caffeine. Even if you still need or want caffeine later, you’ve given your body a natural chance at producing its own state of wakefulness. When you are awake, the sleep hormone adenosine gradually inhibits the neurons in the brain and facilitates tiredness by the end of the day. In a normal circadian rhythm, adenosine is lowest in the morning and increases as the day goes on, while cortisol levels decline. When you sleep, adenosine breaks down. When you drink caffeine, you feel less sleepy because caffeine inhibits adenosine binding by occupying the same receptors in the brain. Too much caffeine can disrupt sleep and recovery from exercise. Not getting enough sleep at night alters circadian rhythm. Suppressing adenosine with caffeine to counteract lack of sleep seems to work well in the short term, but chronic sleep deprivation has long-term health consequences. In the afternoon, adenosine is high and cortisol is dropping. Some people feel less energetic for this reason and might benefit from gentle exercise, meditation or a nap. Other individuals might find a moderate or vigorous workout helps them finish the day strong. If you feel completely wiped out in the afternoon, you should consult with your doctor because it could be a sign of underlying health issues. Melatonin, the sleep hormone, is strongest when you are on a regular sleep rhythm and experience consistent exposure to light. Aim to wake up within 15-20 minutes of the same time every morning, even on weekends. In an apparently healthy individual, this habit helps maintain a regular rhythm for cortisol, adenosine and melatonin. Conversely, you can give yourself a chronic feeling of jet lag with irregular sleep habits. Without energy and motivation, exercise is less likely to happen no matter what time of day you choose to work out. In addition, melatonin and core body temperature (CBT) have an inverse relationship. As melatonin elevates with darkness, CBT decreases; as CBT rises in the morning and lightness increases, melatonin decreases. Exercise causes CBT to elevate and then drop several hours later, which is why you shouldn’t exercise too close to bedtime. High CBT could suppress melatonin and inhibit sleep. The amount of time to exercise before bedtime varies between individuals, but three to six hours is appropriate for most people. It seems that morning is an idyllic time of day to exercise, but the best way to find out is to set a strong foundation for exercise and then experiment to find what works for you. Exercise at the same time each day for at least a week and record how you feel (mentally and physically) and how well you sleep. Exercise should feel good, elevate energy and be enjoyable if you are working out at the appropriate intensity and choosing a modality that suits you. 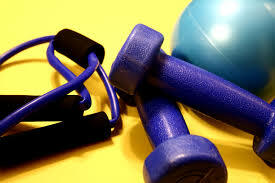 Learn more about hormones and exercise here.